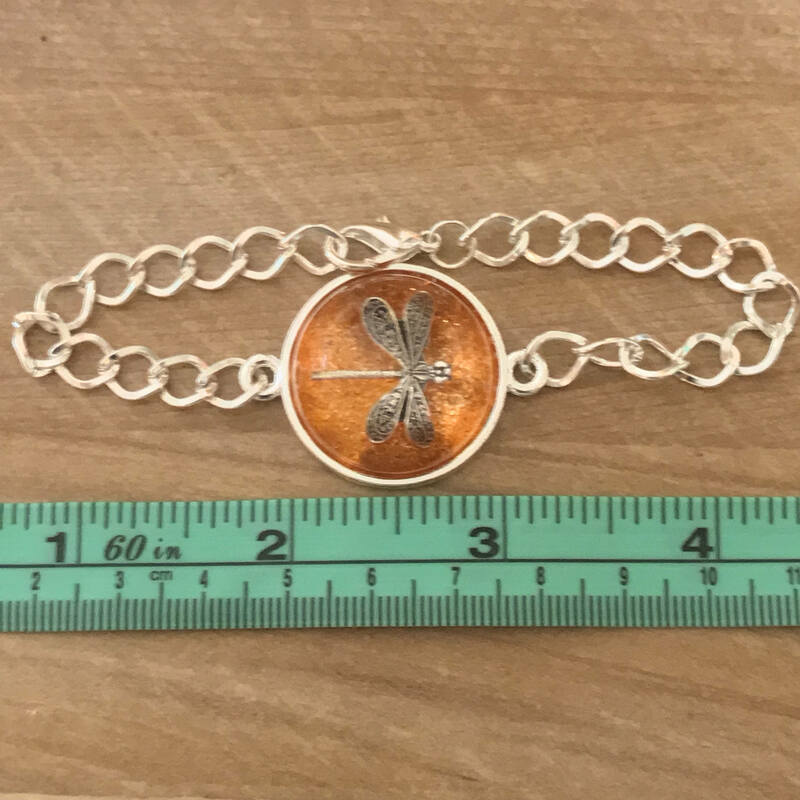 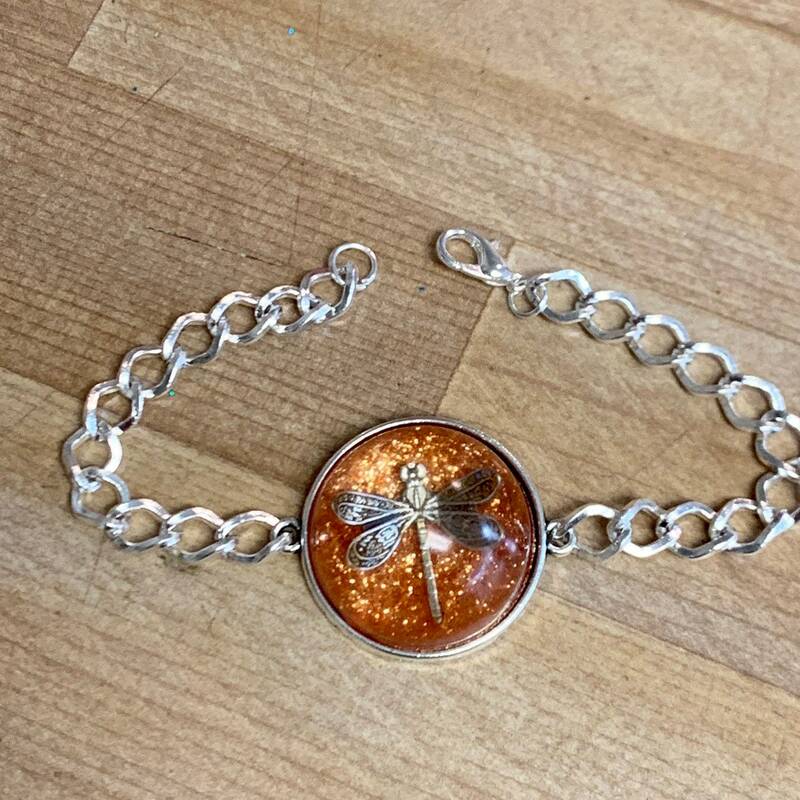 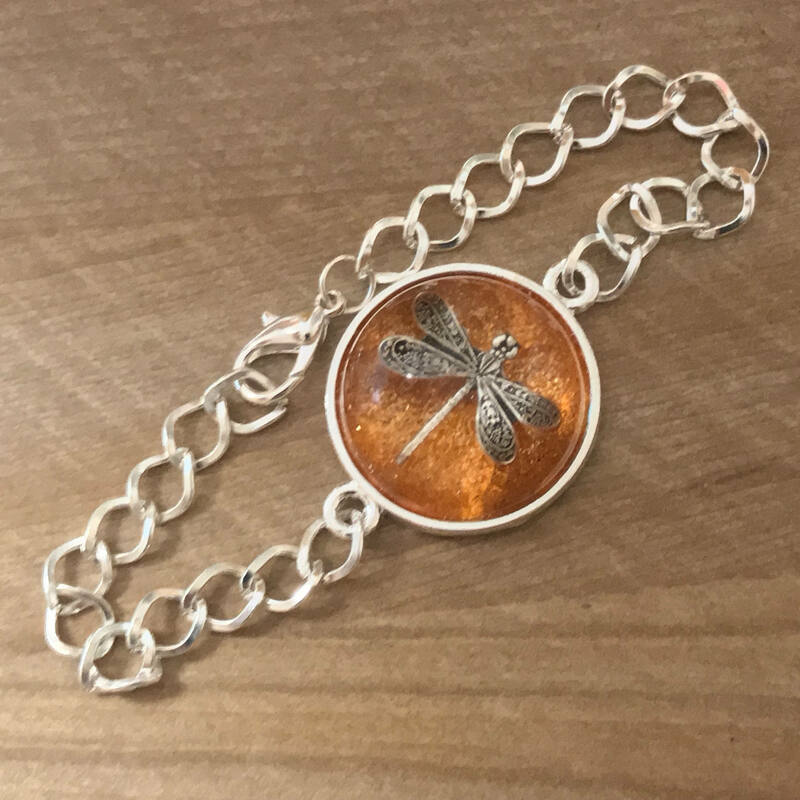 Round half sphere (1") with the dragonfly with silver bail on a Silver Plated Lobster Clasp Link Chain Bracelet 8" (Nickel and Lead Free, Quality sterling plated Heavy Metal Alloy). 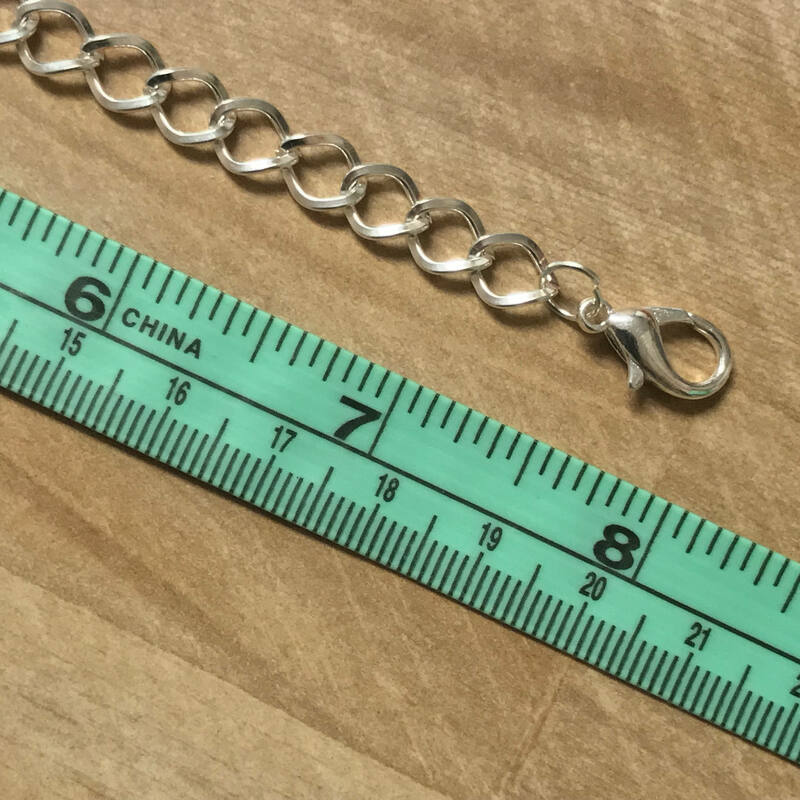 Msg me if you want a different length or choose customize. 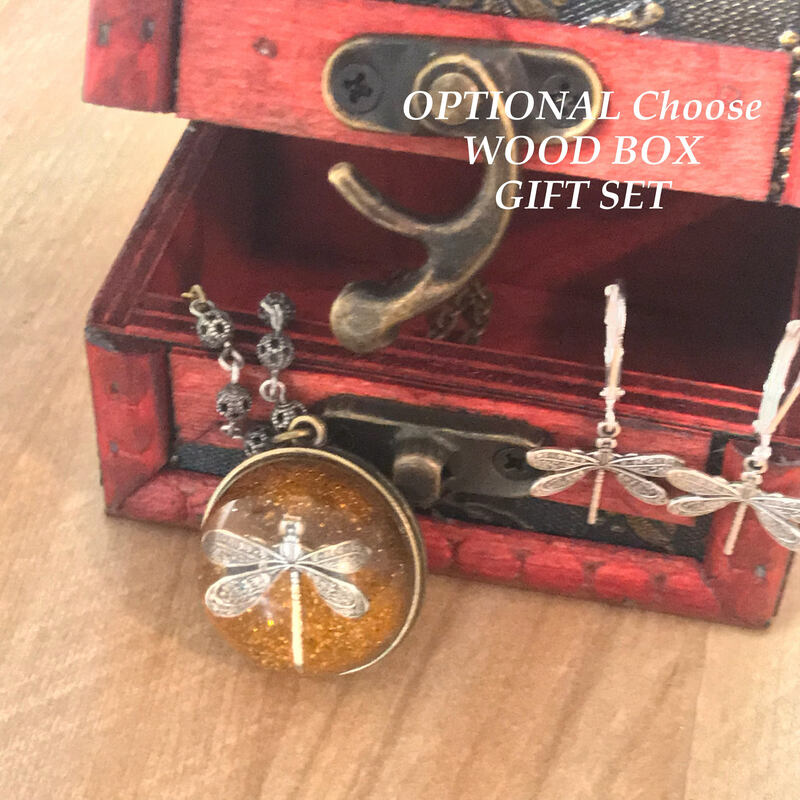 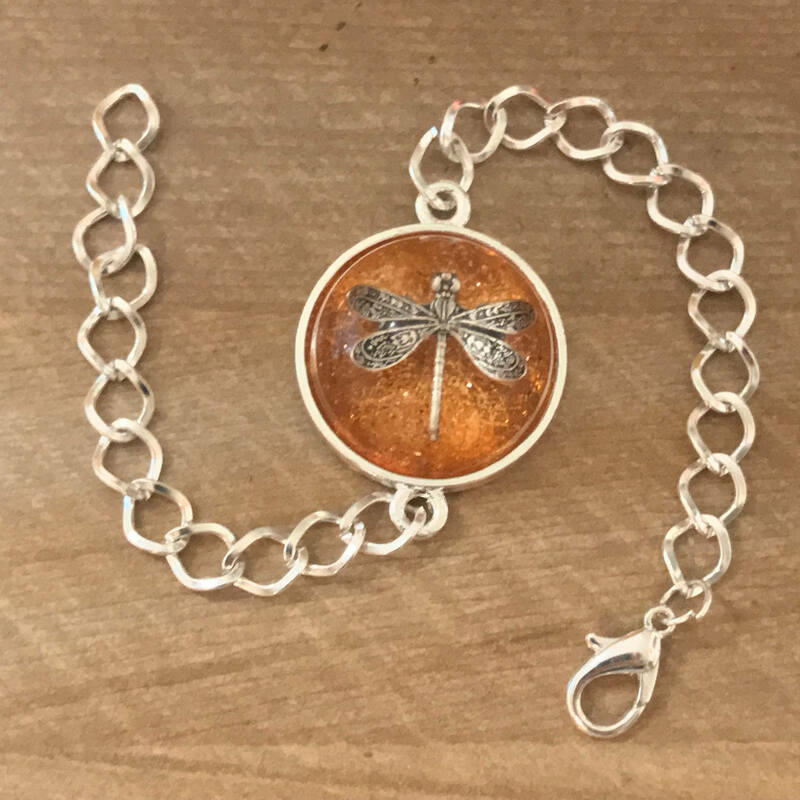 CHOOSE Wood Box Gift Set to get the Dragonfly in Amber Bracelet AND matching Silver Dragonfly Earrings with Silver plated lever ear hooks. 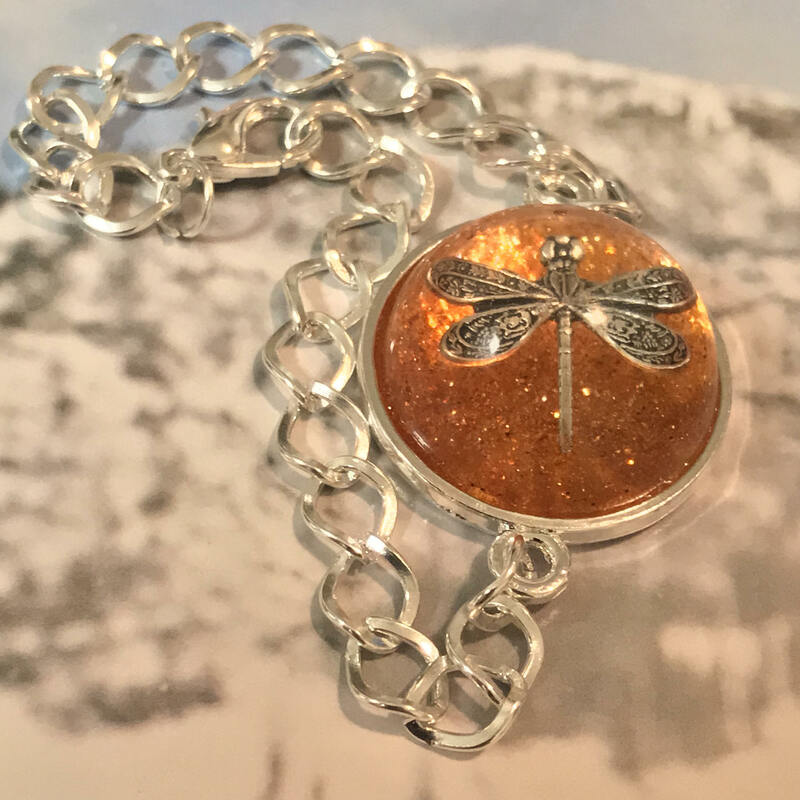 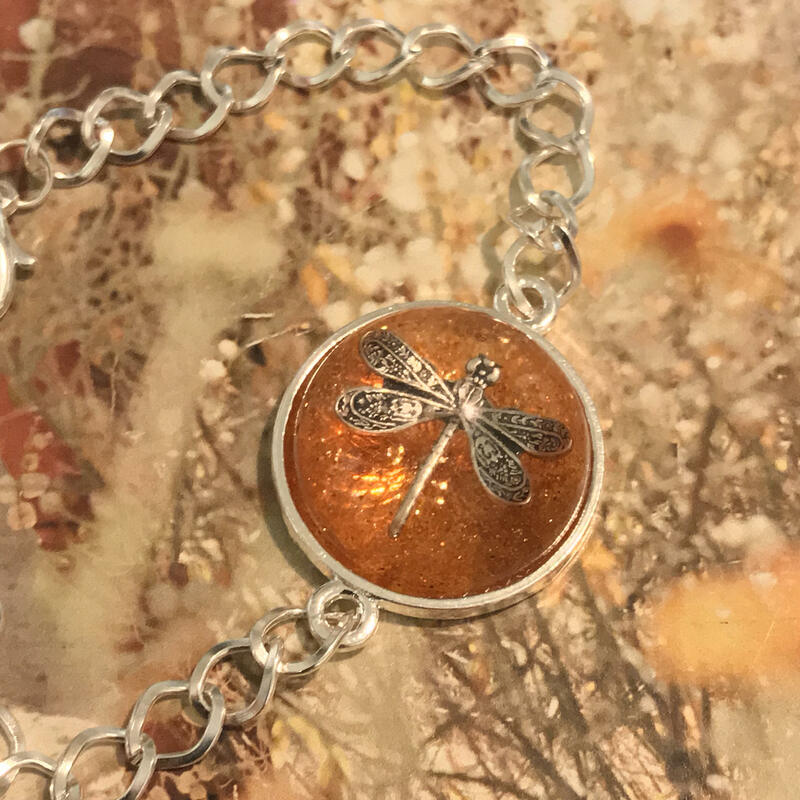 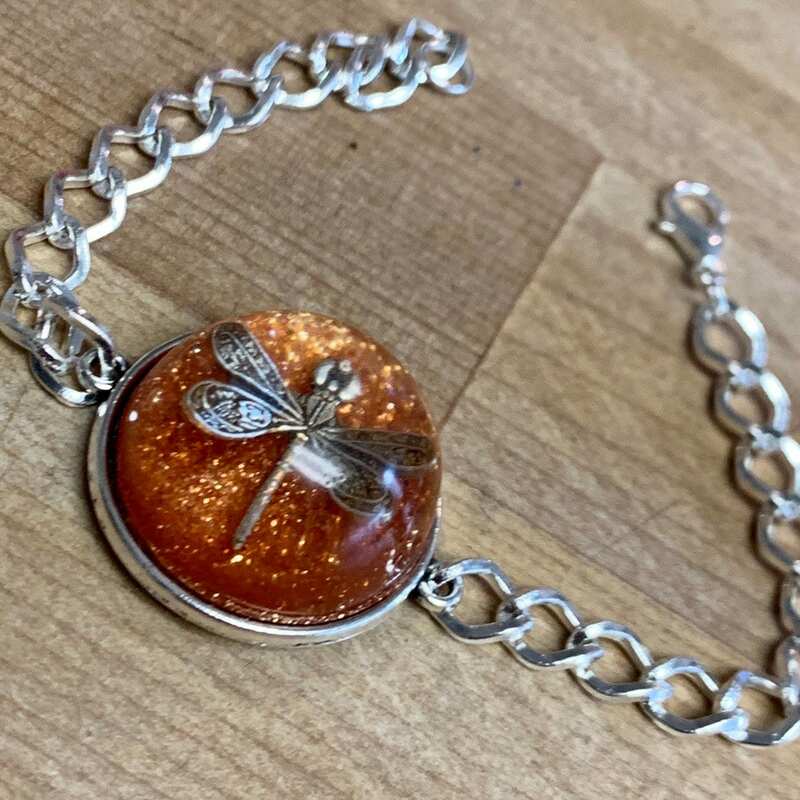 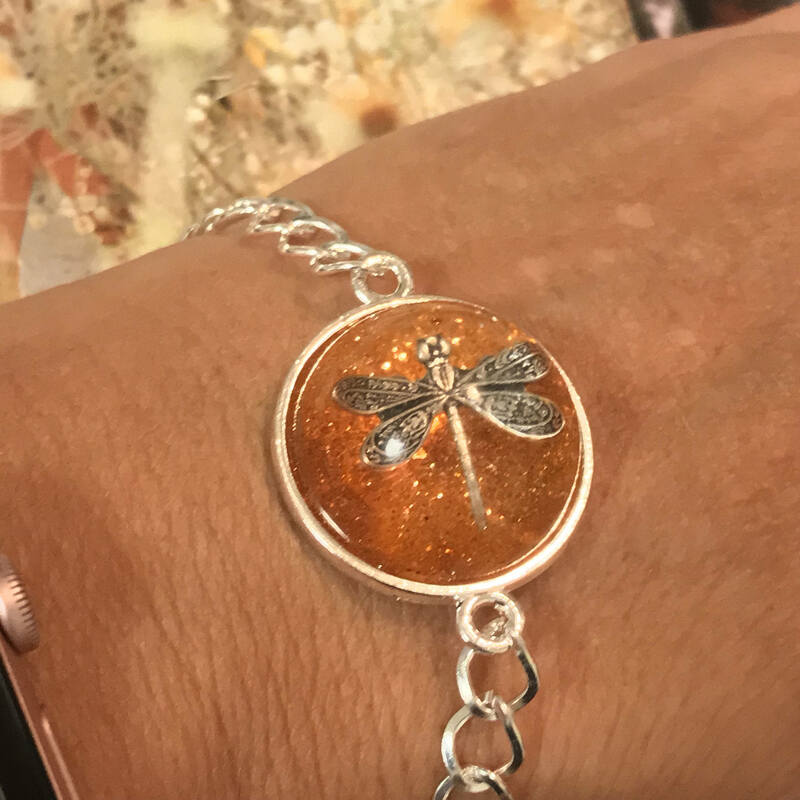 CHOOSE Velvet Box Gift Set to get the Dragonfly in Amber Bracelet AND Matching Silver Dragonfly Earrings with Silver plated lever ear hooks.